Their deft fingers—which once crafted circuit boards for autonomous airships—were perfect not only for handling the animals, but also for bagging their poop with minimal mess. 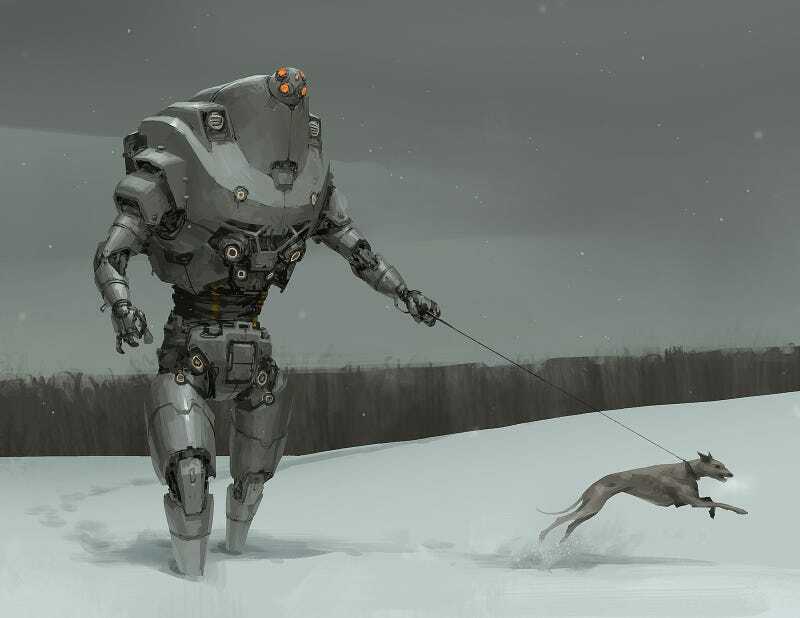 The delightful "Cardio" is by artist Andrew Mar, (via r/ImaginaryTechnology). You can check out more of Mar's work on his Tumblr and his portfolio site.